The PR4 lets SoundFX users download new project sound files and even refresh the sound decoder’s firmware for the latest updates. You can download sound projects from the Digitrax Sound Depot web site www.digitrax.com/sounddepot. We encourage sound project file sharing among hobbyists. 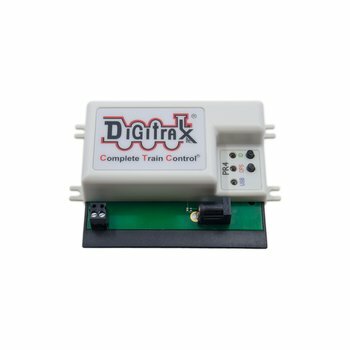 You can download a sound project into your Digitrax SoundFX decoder equipped locomotive. You can try out sound projects downloaded to your locomotives on the programming track without having to run it around the layout. USB Cable needed to hook up your PC’s USB port.